It’s almost seven when I pull the front door closed behind me and hear its reassuring click. If it could speak it would be telling me I’m safe, nothing can harm me now. Let’s pretend, it would continue, that the outside world never even existed. Just for tonight, let’s pretend. My brown Italian leather bag slides off my shoulder and lands in a crumpled but delicate heap on the floor. I kick off my shoes and walk down the hall into the kitchen, sniffing the lemon-scented air. The sheets are hung, the draining rack emptied. The cleaner has been. I cook on autopilot, chopping peppers and chilis, throwing them into a frying pan and watching as the yellow flame laps hungrily at its base. I leave it unattended as I go to run a bath, catch sight of my reflection in the bathroom mirror and wince. The day is etched on my face with alarming clarity. This is my fourth consecutive stir fry, I realise as I swallow the last overcooked morsel of Quorn, flick off the banal television programme I was barely even watching and take my bowl into the kitchen to wash up. I run the water for too long, watch as the soapy suds spill over the bowl and into the pan beneath. I refill the draining rack, dry my hands. As I walk past the fridge I stop, consider a glass of wine, then think again. My mind is racing as I sink beneath the surface of the water. I lie there motionless, like a hippo in a watering hole, watching as the steam rises up and curls around and back in on itself. I know it’s time, and yet I hardly dare entertain the thought of doing what I’m about to do. I drain the bath, pat my hair dry with a towel and slip into my fluffy robe and slippers, padding softly down the hall into my bedroom. For a fleeting moment I entertain the thought of putting on mascara, lipstick, perhaps even a touch of blusher, but then dismiss the idea as ridiculous. What would be the point? The bedroom door scratches across carpet, then clicks into place like the last piece of a jigsaw. I turn the key softly in the lock, dim the light. I pick up the box of matches on the bedside table, strike one and light the candles. The room is filled with dancing shadows and the cloying scent of vanilla. It tickles my throat and makes me nauseous. Or is it the fear that makes me nauseous? I bury the fear in the pit of my stomach and kneel down, reaching underneath the bed for the box and stroking its walnut veneer as I pull it out. Questions rise up within me like a volcanic eruption. I suppress all but one. What if? My hand is shaking as I turn the ancient key in the lock. It opens with a serpent’s hiss and I swallow hard. I know what’s coming. It’s judgement day. I lift the lid and suddenly the air is flooded with a heady combination of dust and profanity. A bubble of relief rises up inside me and I laugh. I look down at dishy doctor Dan, standing proud in his starched white coat, arms folded across his chest as he glowers at me with all the square jawed impudence he can muster. From behind him Tess steps into view, her blonde hair tumbling down over her shoulders like a waterfall. She echoes her husband’s defiant pose. “Well maybe sorry isn’t enough this time,” comes a shrill voice from the far side of the box. I search out its owner, unsure after all this time of to whom it belongs. My eyes, adjusted to the candle light, alight upon a slender figure clad in a silk kimono cocktail dress. “Jacqueline, my favourite villain,” I say, my smile filled with genuine warmth. I lower my hand into the box. She regards it with the cool conviction of the criminal mastermind that I know her to be, then steps up onto it. I lift her up until she is level with my eyes. I scan the sea of tiny faces, feeling the warm familiar glow of recognition as each one comes into focus. Lithe-limbed Amelia, purple-haired Clarice, kind-hearted Albert. How could I have left them for so long? What was I thinking? “Well come along then,” Jacqueline snaps suddenly, wrenching me from my reverie. I look at her, my eyes unfocused, and blink uncomprehendingly. “Put me down,” she hisses. I do as she says. I smile back, and a cheer erupts from the tiny crowd beneath me. My crowd. My characters. It’s story time. 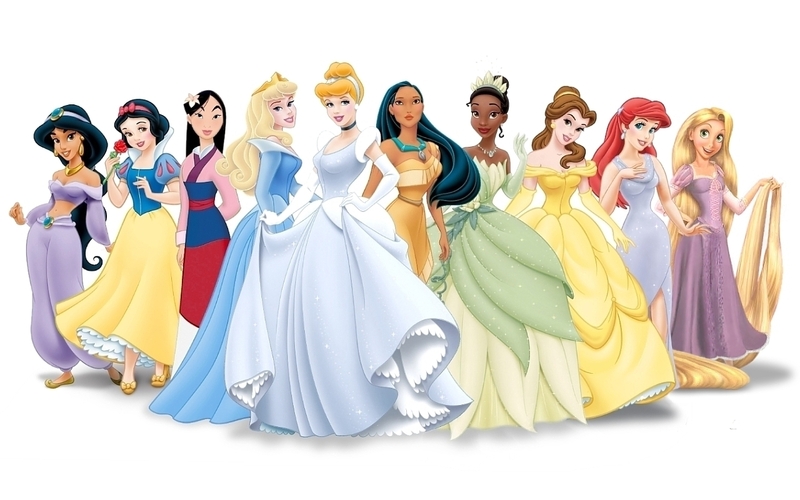 The Disney Princesses were my first literary loves, so they had to feature in this post.. This entry was posted in Uncategorized and tagged characters, imagination, inspiration, story time, writing by Belle365. Bookmark the permalink.